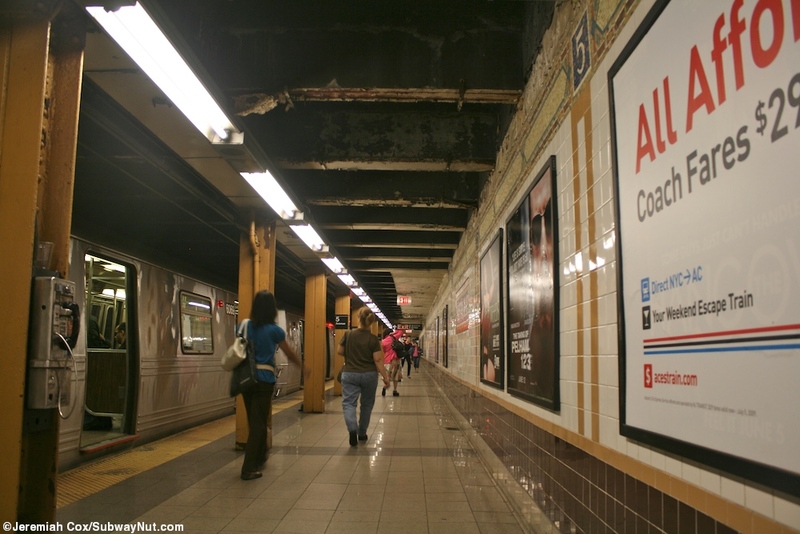 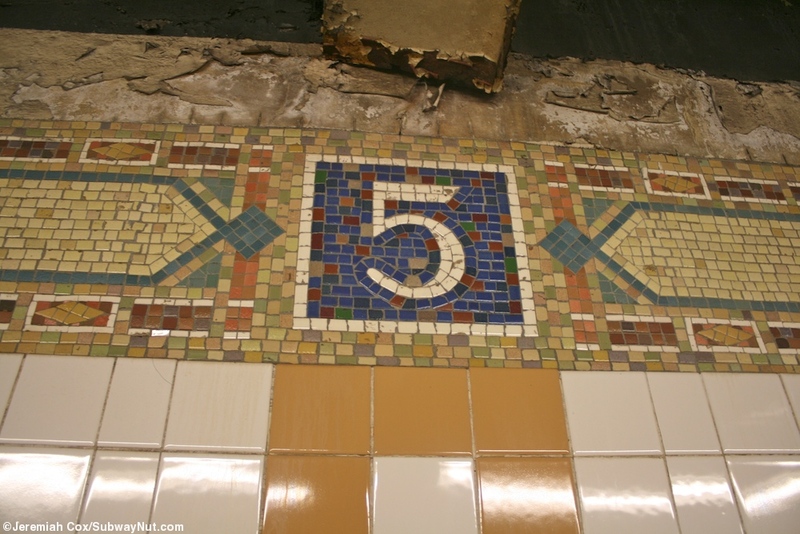 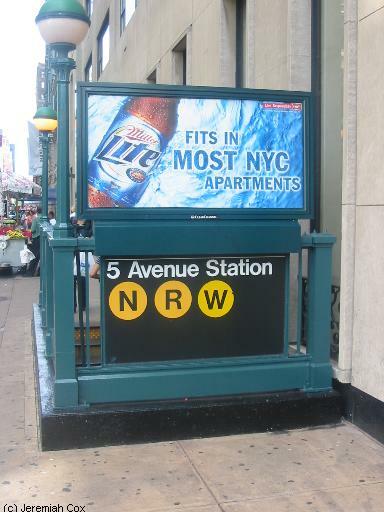 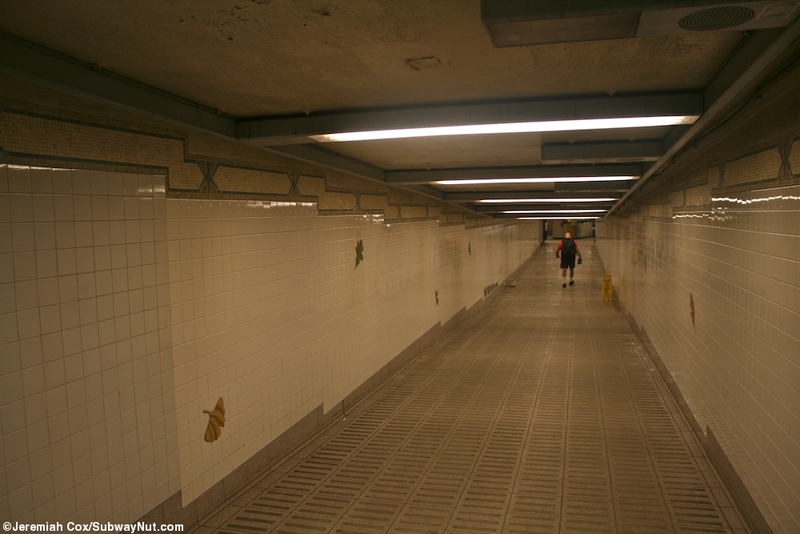 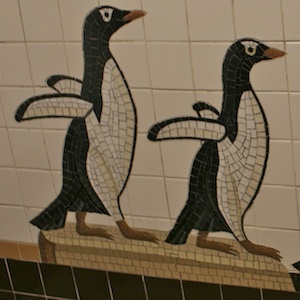 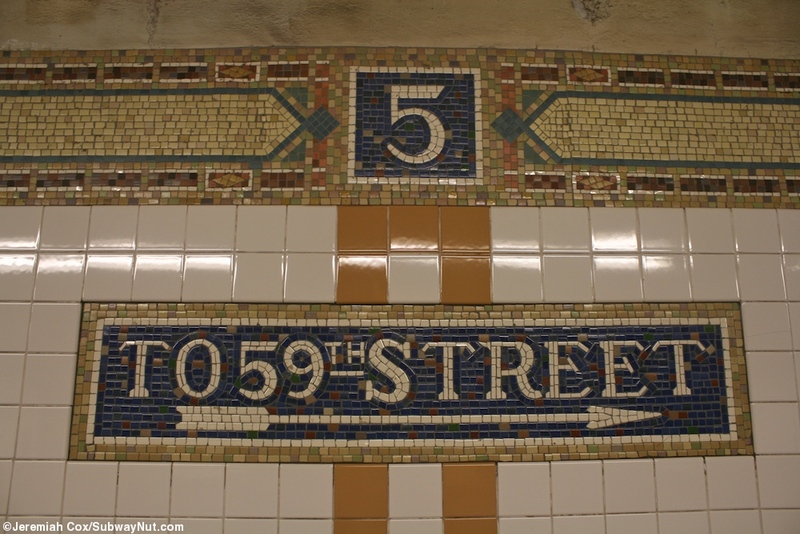 5 Avenue is the first of two stops on the two-track BMT 60 Street line that is also the name of its tunnel beneath the East River. 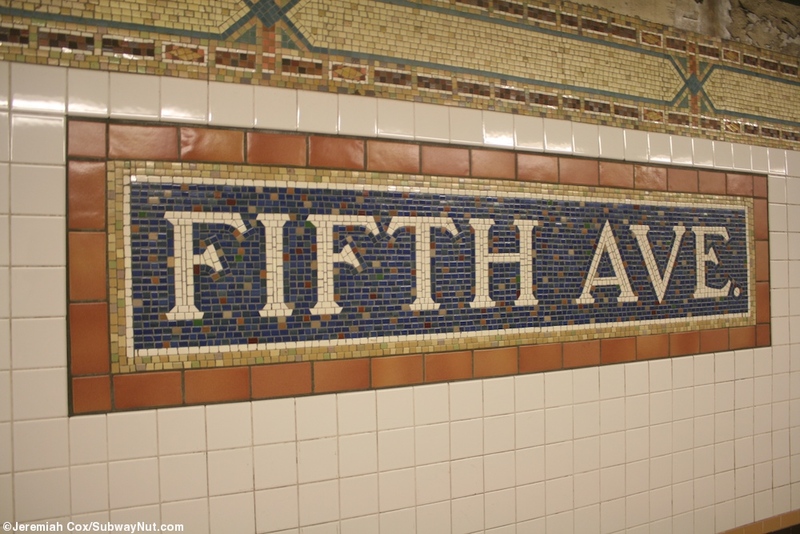 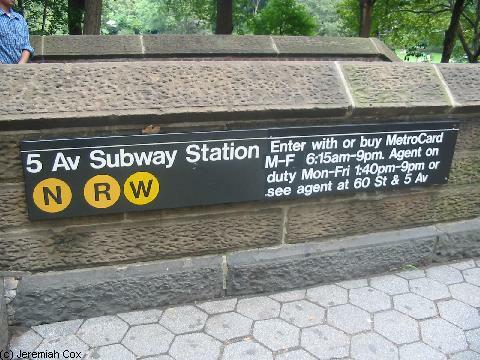 This station with its two side platforms with restored Fifth Ave. name tablets, a trimline that has 5s along it and a series of yellow columns is at a very odd angle passing diagonally across Grand Army Plaza (the one in Manhattan) at the Southeast corner of Central Park, directly beneath the staging area for carriage rides. 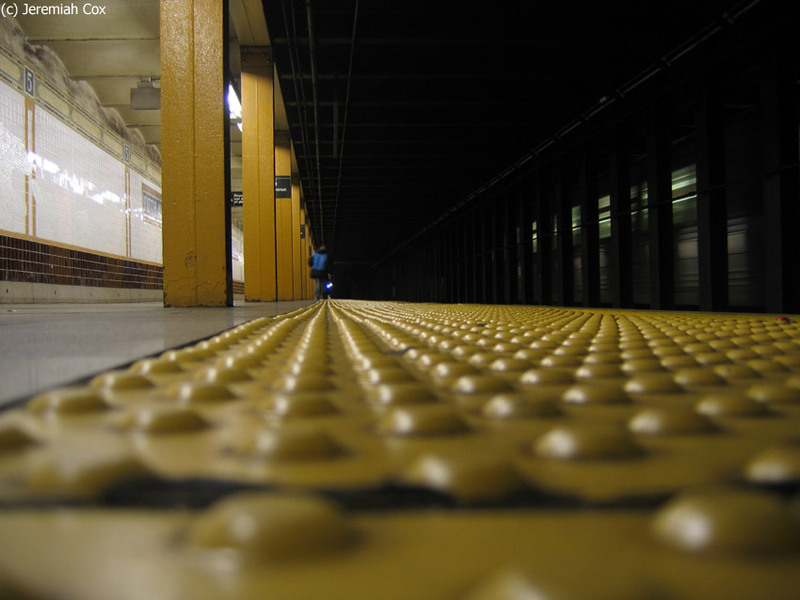 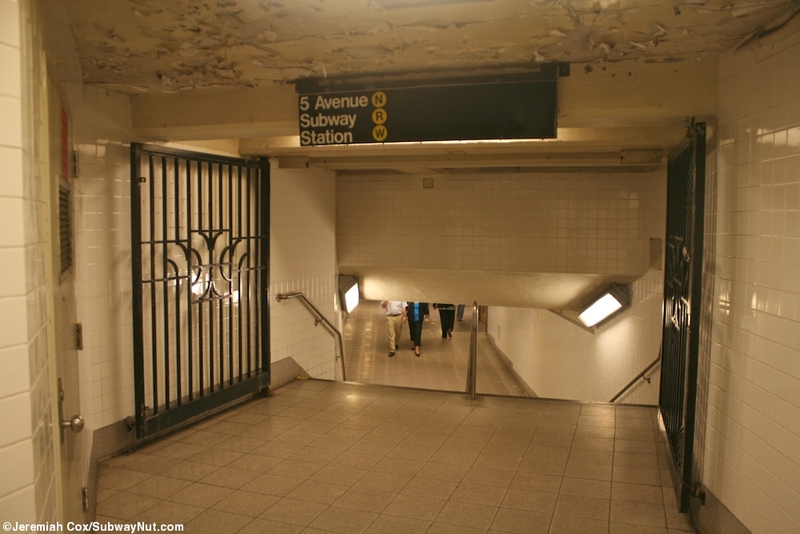 The platforms have two fare control areas each accessed by a single staircase from each platform end. 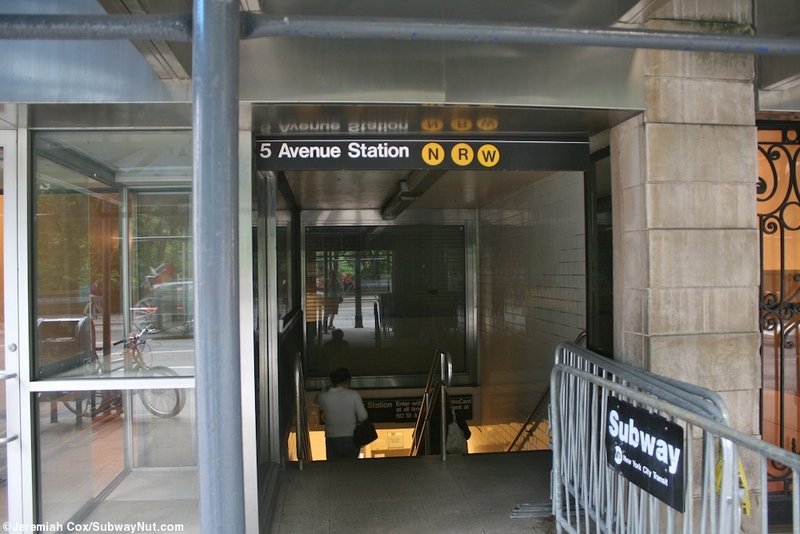 The railroad south one singed for 59th Street leads from a small unstaffed mezzanine area with just six high entrance turnstiles to an exit signed for the Plaza Hotel inside a small short building just west of the hotel along 59 Street (This exit has been closed for rehabiltation for one year effective October 2, 2012). 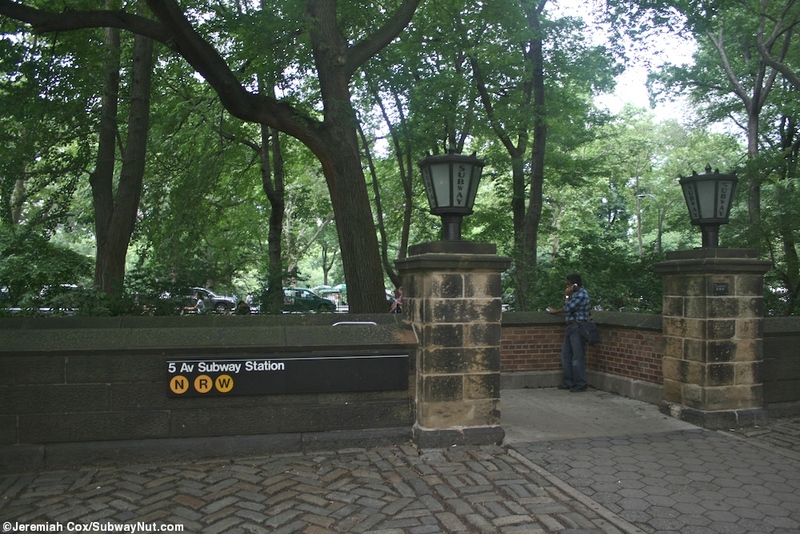 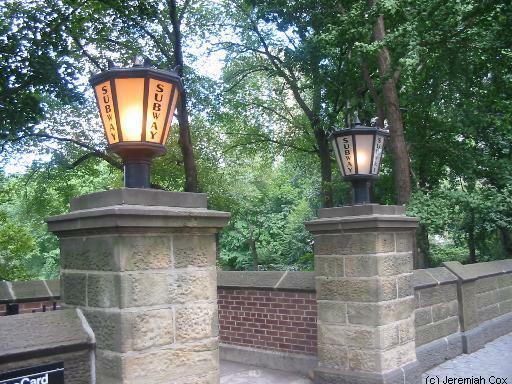 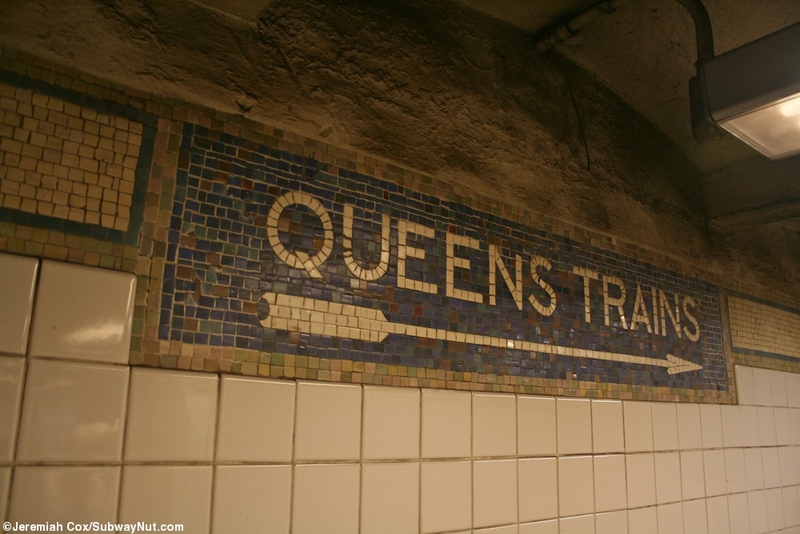 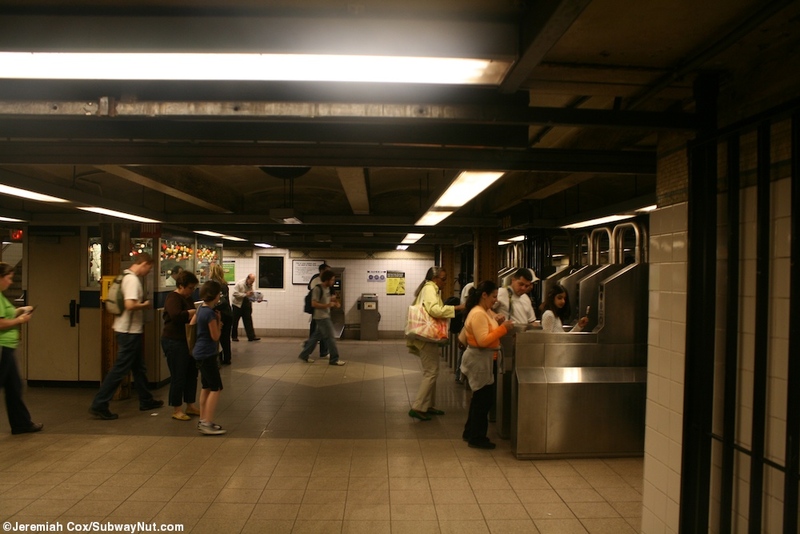 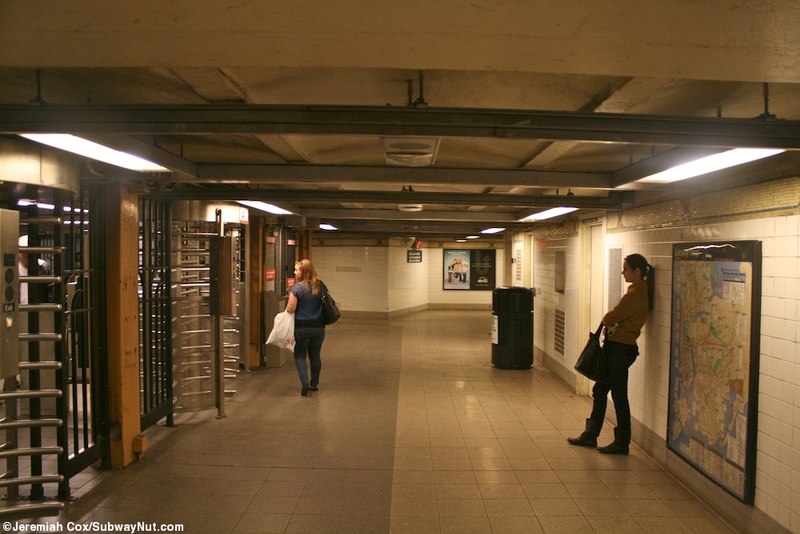 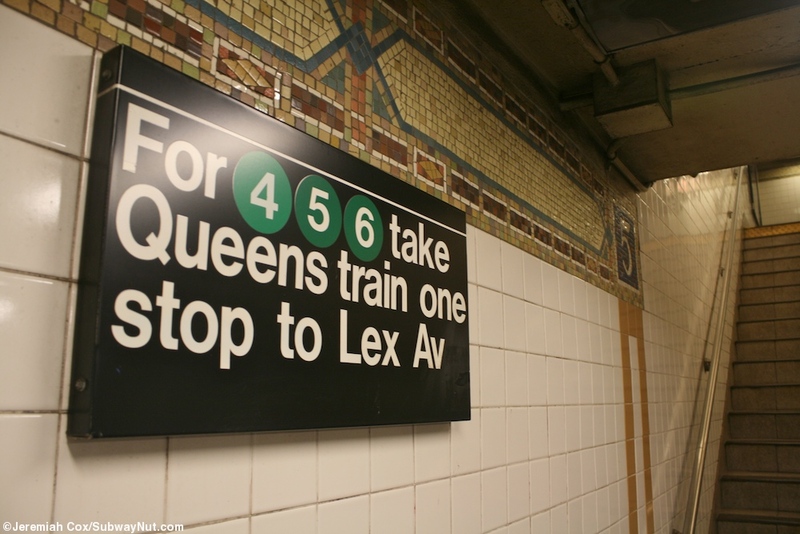 here is a second entrance directly across 59 Street located in Central Park and it is a grand one with two staircases leading up to street level with brick and stone walls and little hexagon white globes that have subway written on them. 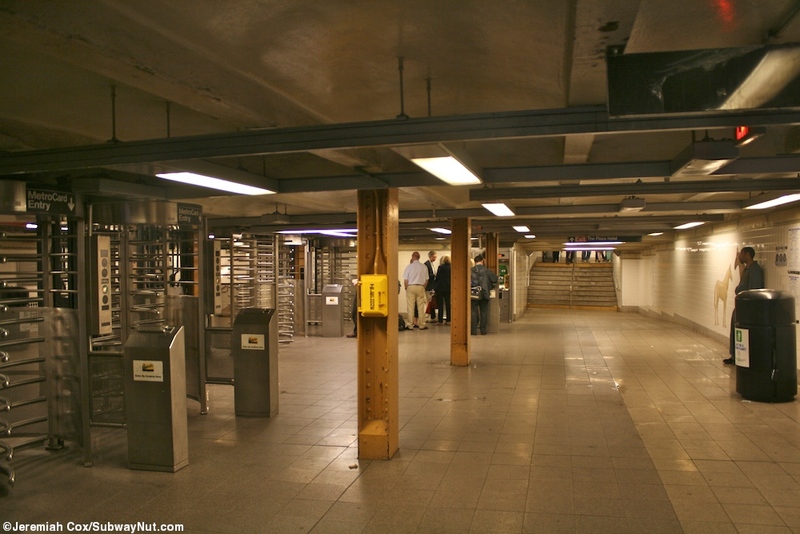 The railway north end of the platforms have a staircase from each to a small mezzanine area with a newsstand within fare control facing the turnstiles and the token booth on the otherside of it. 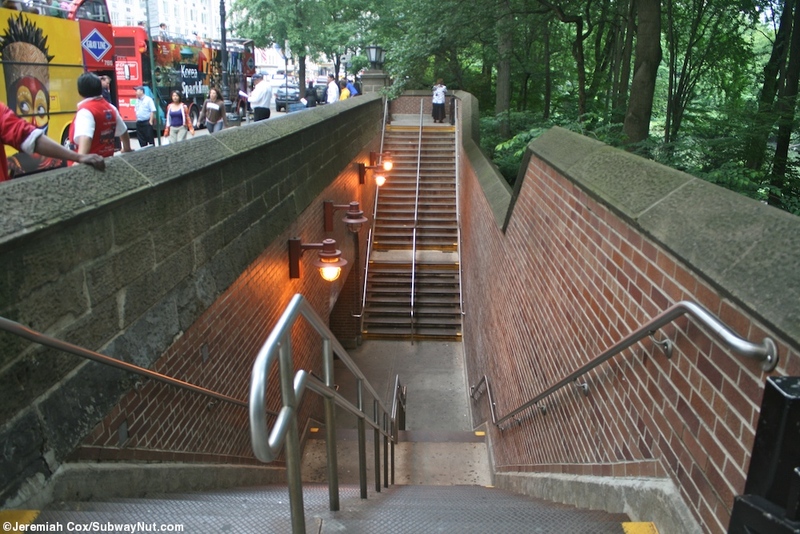 It leads out to two conventional street stairs on the SE and one on the NE corner of 60 Street and 5 Avenue. 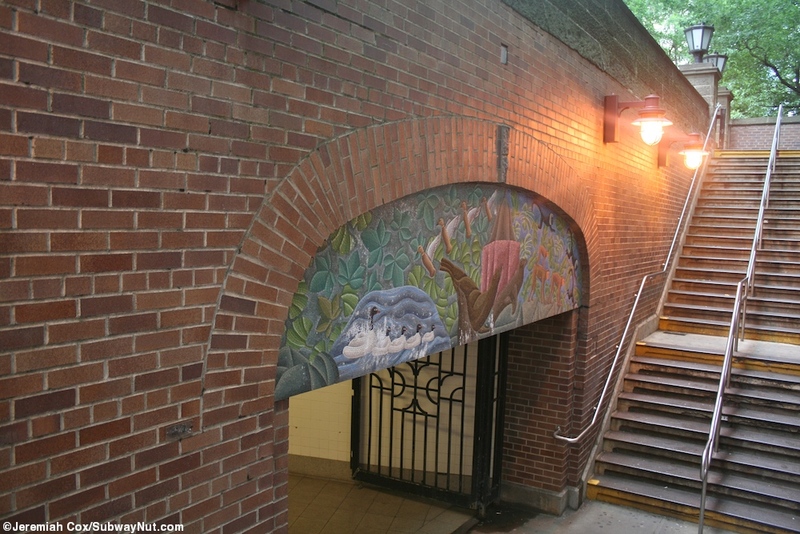 Finally a short connecter tunnel leads to a final street stair in the side of Central park (that is a mini-version of the one at the 59 Street entrance) along 5 Avenue basically mid-block between 60 St and 61 St.
15 June, 2009 (5n15) A random sign on one of the platforms informs riders how they can get to the 4,5,6 at Lex Av. 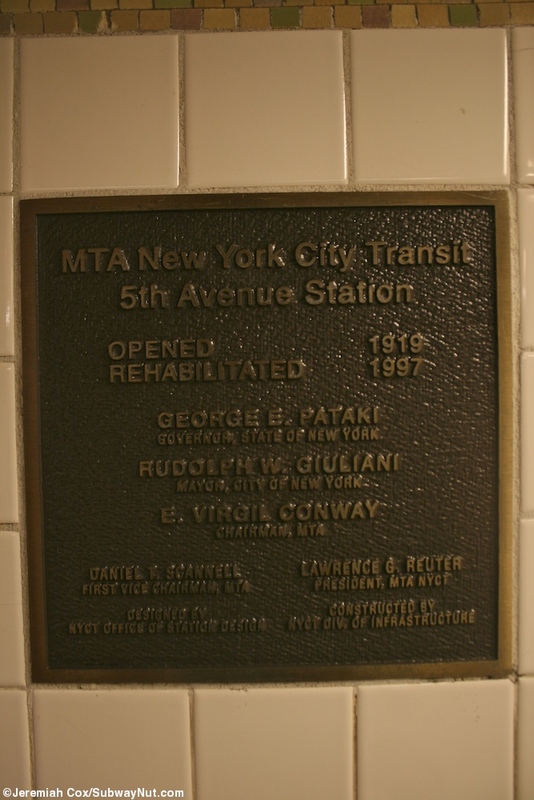 Why is this transfer so important?